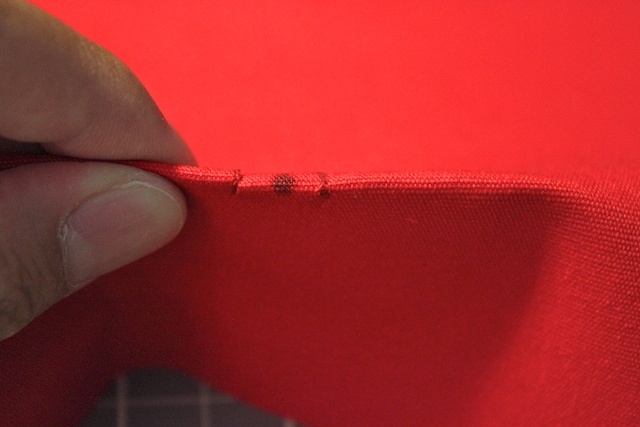 I’m doing a few more sewing 101 series by showing you how to do some simple sewing skills. I have been making bags and clutches that uses magnetic snaps so I thought I would share how easy it is to do it. 1. 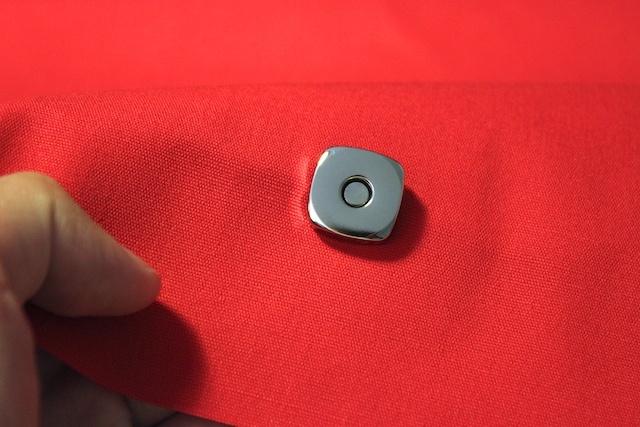 The magnetic snaps come with a metal plated backing. Use that as a guide to mark where you need to cut for the slits. 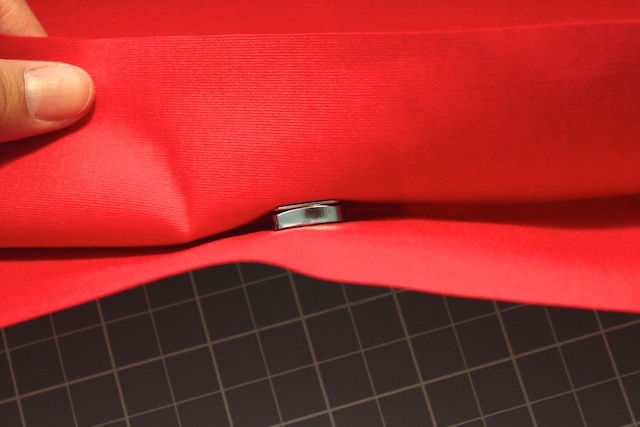 Measure on the material where you would like the magnetic snaps to go and use washable ink pens to make your marks on the right side of the fabric. 2. 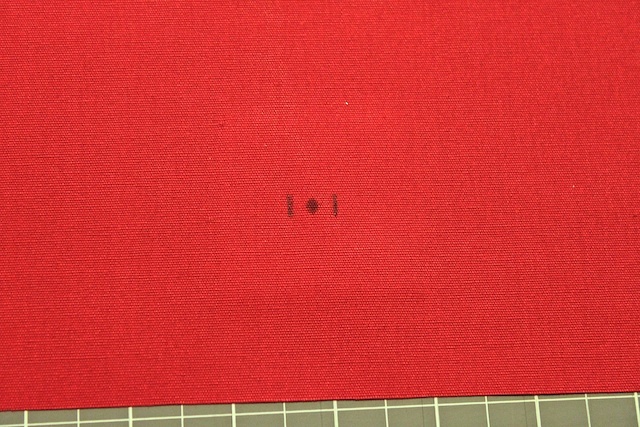 On the back side of the marking iron on your interfacing. This helps to stiffen the snap area and give it reinforcement. 3. 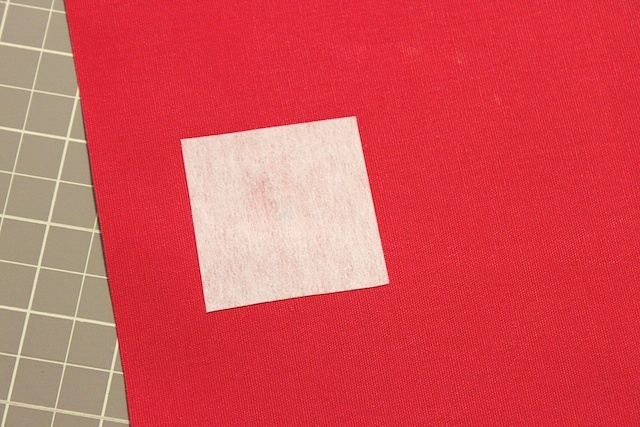 Once the interfacing is on there, turn your fabric to the front side to the markings. 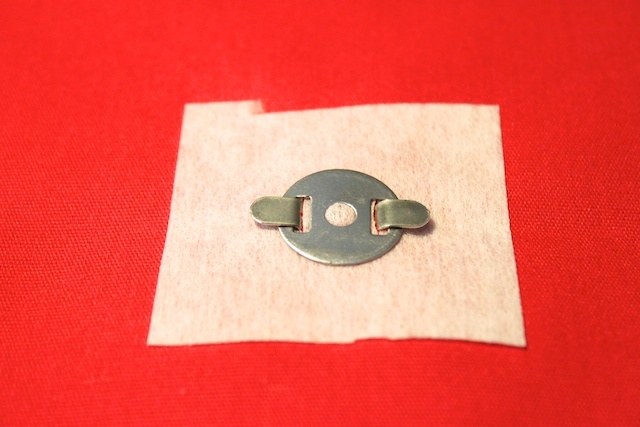 Fold in half and use scissors to make small slits for where the prongs will go through. 4. 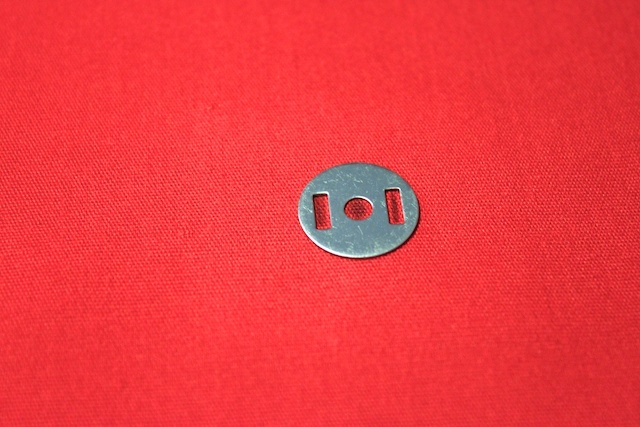 Place the top part of the snap in place. The prongs should fit right through the slits you just cut. 5. 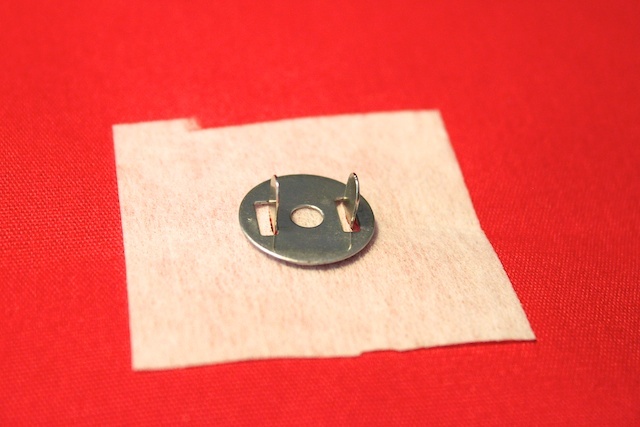 Place the backing metal plate on the backside of the snap. 6. Fold the prongs down flat. And done. What about the metal thing that the snap magnetizes to?? By the way your doing an amazing job with your website. it’s the same. just do it on the opposite side where you would like it to be.